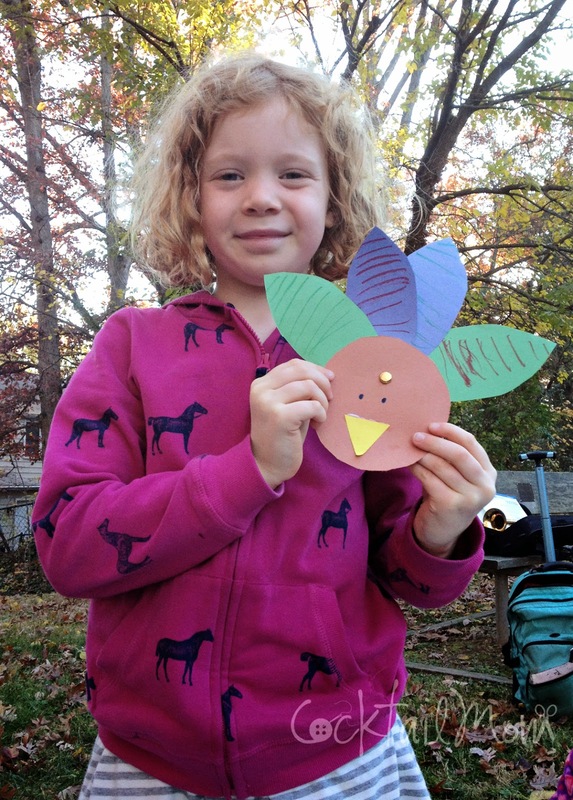 Need a simple craft to do with your kids to celebrate Thanksgiving? This will only take a small amount of time and you probably already have everything in stock. This project is great for kids from kindergarten to fourth grade. For the older kids add a writing element by asking them to write what they are thankful for on each feather. Younger kids can even draw a picture on each feather of what they are thankful for. Start by cutting out a circle using brown construction paper. then have the kids cut various feathers out of colored construction paper. I drew the first feather for the child and had them stack the papers to cut the feathers out all at once. But you could easily create a template for them to follow or have them create their own feathers. The possibilities are endless! Using yellow construction paper cut out a triangle for the beak. Draw the eyes on with marker. The child could either glue the feathers to the back of the circle or use a small paper fastener to make the feather movable.